5 Million trees, acres and acres of lush green forests, burned and destroyed in 3 days. Help reforest and renew the Carmel mountain Nature Reserve and villages. Give a gift of life during this holiday season and watch your gift keep on growing! For three days in early December a massive fire raged in the Carmel mountain region, southeast of the Israeli port city of Haifa. Aided by strong winds and fed on the dry timber caused by months with no rain, the flames moved quickly from their points of origin to engulf entire settlements and thousands of acres of natural wood forests. The Carmel Nature Preserve region was home to protected wild life and dozens of small villages and settlements both Jewish and Arab, and offered many miles of trails and parks for those that visited and enjoyed its grand beauty. We thank those that came from near and far to help control the flames and we bow our heads in sorrow at those that lost their lives in this terrible disaster. The earth has been burned, but our spirit has not! Now is the time to replant! The Jewish holiday of Tu B'Shvat, the Israeli agricultural New Year will be celebrated in a few weeks on January 20th, 2011. Most of this year's planting will be done in the Carmel mountain region to help reclaim the land from the black ruins of the fire. The trees you purchase now will be planted on Tu B'Shvat, Jan 20th, 2011 in Kibbutz Beit Oren that was almost totally destroyed. Your donation will help re-landscape the Kibbutz so that it can once again provide shade and beauty to those that live and visit there. First we would like to thank you for all your efforts concerning to the rehabilitation and renewal of the environment and landscape in and around Kibbutz Beit Oren on the Carmel. 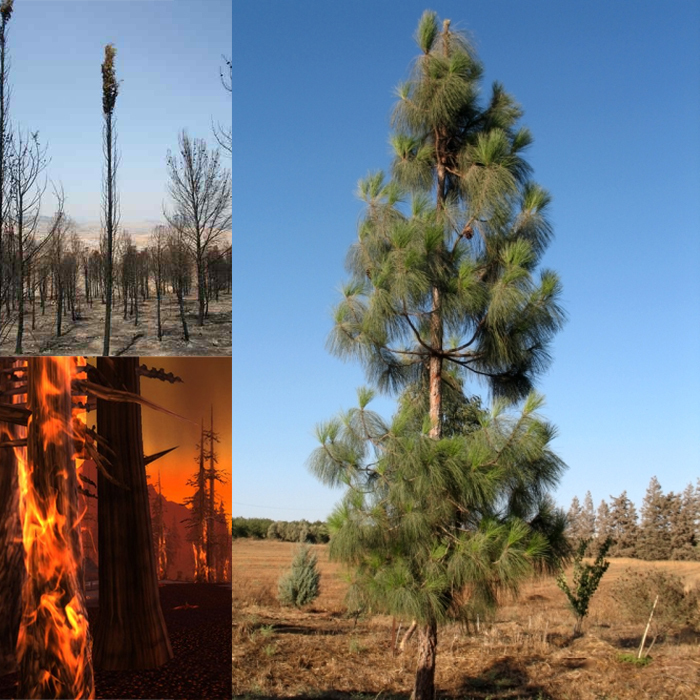 We have set as our first goals the rehabilitation of several badly burned sites. New garden landscaping will be planted, along with indigenous ground cover plants with the aim of it being ecological, need little water, and fire resistant. 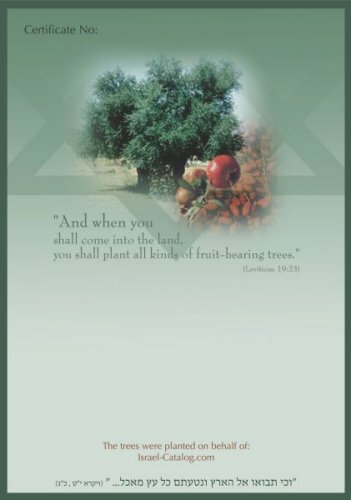 We will be glad to receive the plants and trees that have been bought through Israel-Catalog.com to plant on the day of Tu Bishvat. You can plant a Tree of Life as a donation in memory or in honor of someone you love or just as a way to help reforest the Carmel. A certificate with your message can be sent to those in whose name you have made the donation. A righteous man is also like a tree whose roots go deep into the earth and not even a strong wind can topple it.